I finished stockings yesterday–one for Mary and one for Emma. 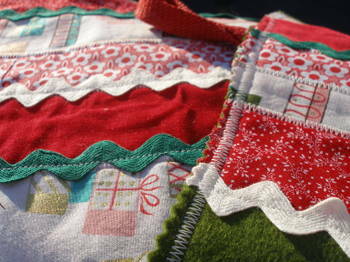 It was such a relaxing project and while I was in the midst of fabric scraps and ironing boards and little hairs of thread everywhere–it was cozy and warm–holiday crafting feels good. adorable stockings!! I can’t believe that is where you live, it is sooo amazingly pretty. 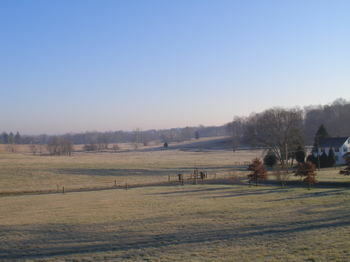 oooooooooooh, the fields look gorgeous….I love the early morning light out on a farm! also the stockings are just to die for! I love them….that’s a great idea to just pink the edges….that’s the hardest part for me, the finished look! What Hannah said- word for word. these are so lovely molly! happy holidays! love that green! fantastic job. Beautiful stockings. I’m sure the girls love them! super cute, Molly! really, really cute! you’ve got me tearing up a little with this post. 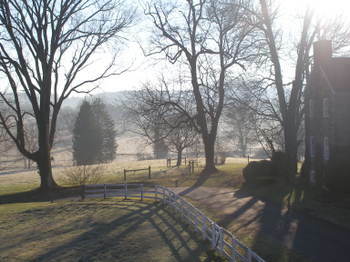 I really miss the sun coming up over quiet fields…. Stockings. Are. Also. Too. Gorgeous. To. Adequately. Describe…. I’m in Chicago, praying with all my heart that someday I’ll be living in a rural area on the east coast…in the meantime, I’m a (new) devoted reader of your blog- best wishes for peace and happiness this Christmas. You’ve made me homesick in a very good way. Your stockings are lovely. Pretty choice of fabrics. 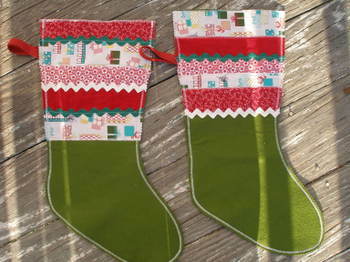 I enjoyed making stockings for my family this year. Have a beautiful holiday. The scenery and the stockings are both so beautiful. Enjoy them both this Christmas! How I love your photos!And the stockings you made are gorgeous!Have a wonderful New Year, Molly!! 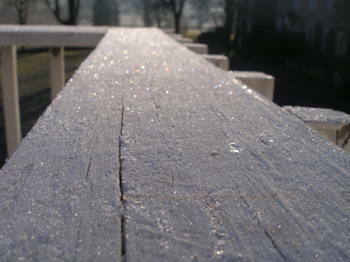 I’m misty eyed over your photos, how miss my old farm and the frost in the mornings especially on the spiderwebs.